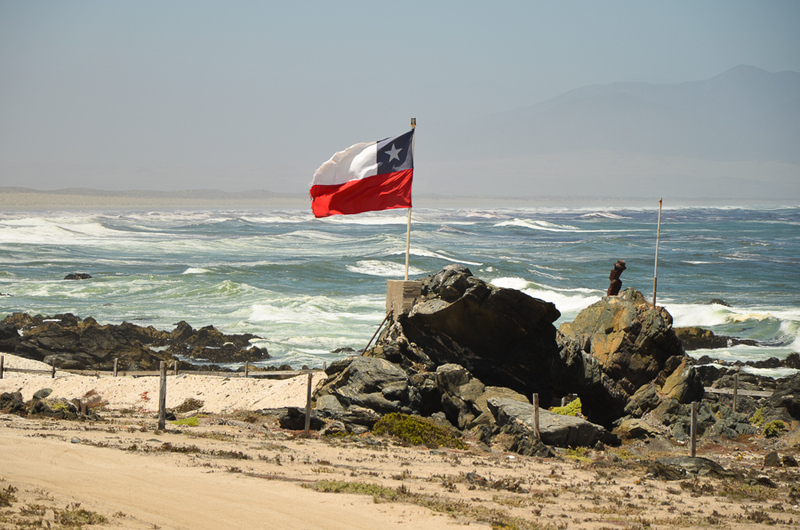 It’s time for some adventures from Chile. 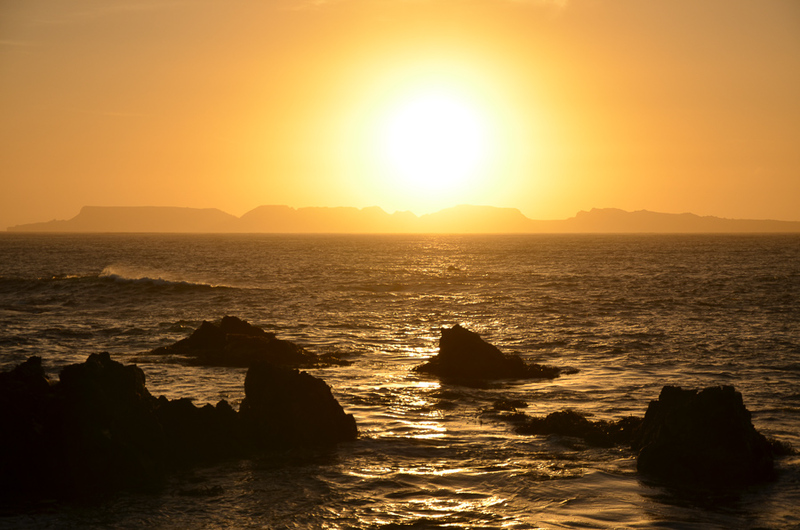 The car ride from Santiago towards Atacama offers intense experience with semi-arid landscape. The road north meanders between the ocean on the left and the Andes on the right. The predominant view of bushes and cactus is rarely replaced with some vineyards, olive plantations, or abundant wild plants along the seasonal riverbed. 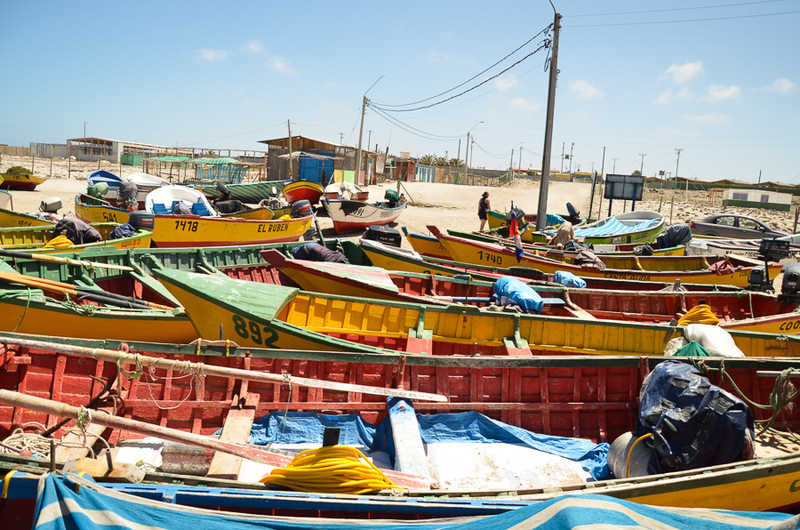 We sleep in a tent in seaside village Caleta Hornos. The following morning we get off the main road no 5 and head towards Las Choros. We are not alone here. 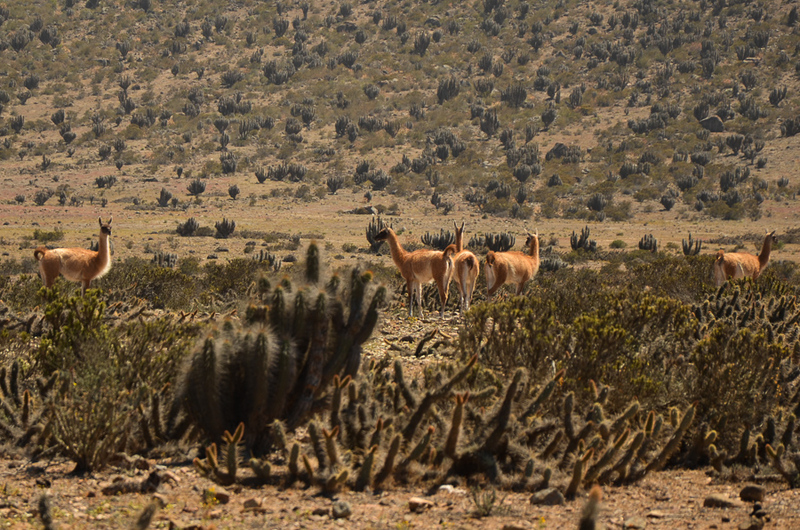 Along the way we meet gray fox culpeo and a herd of guanaco swiftly running between cacti. 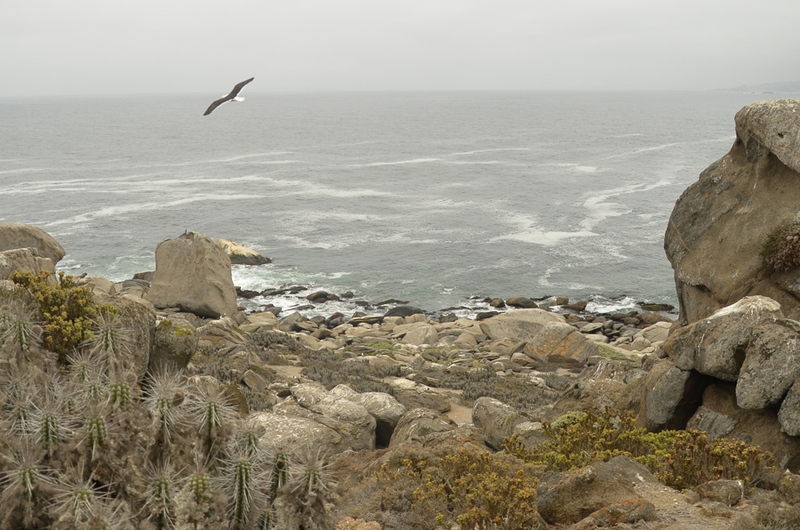 We reach Punta de Choros, starting point for a visit to Reserva Nacional Pinguino Humboldt. It turns out that due to strong winds and big waves none of the boats would sail today. Therefore we patiently wait, spending the day walking south along the coast towards sandy dunes. Allegedly, scorpions can be found here, but we are not that lucky. 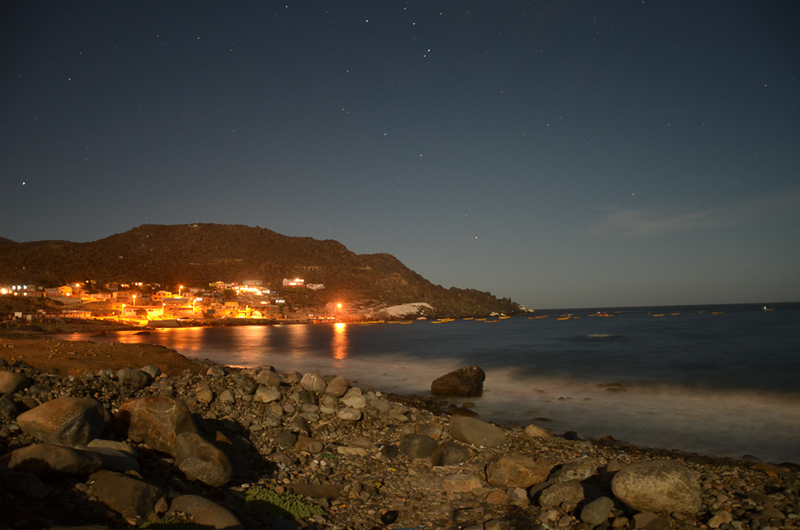 During the night the wind doesn’t stop, it intensifies and though the morning the waves are even higher. The difference is that there is additional group of clients and boat owners are not able to avoid the temptation of making extra money. I love all the situations where the simple economy bends previously established rules. Here we sail. The scene of passengers getting onboard looks like it was pictured in a comic book. The waves are so big that every 10 or so seconds the pier is flooded and precisely during that time the skipper loosens the rope to prevent damage to the boat. The boat moves away and few seconds after comes back to take one passenger on board within not more than two seconds, then next one board and so on. During this operation, one of the Chilean girls got soaked her entire leg, a desperate mom with three small children brought two of them to tears and seemingly brave nun, finally chickened out after seeing what it is all about. In total 12 people sail towards the reserve on this tiny boat through powerful 3-meter high waves. 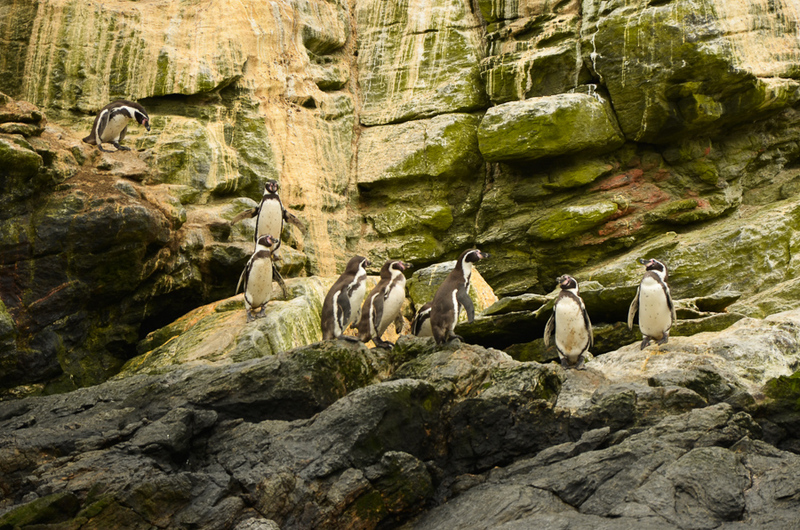 We sail to an island inhabited by Humboldt penguins. This variation of cute black-and-white bird reaches a size of about 60cm. We are happy to enjoy view of the largest concentration of around 10,000 of the world’s population. 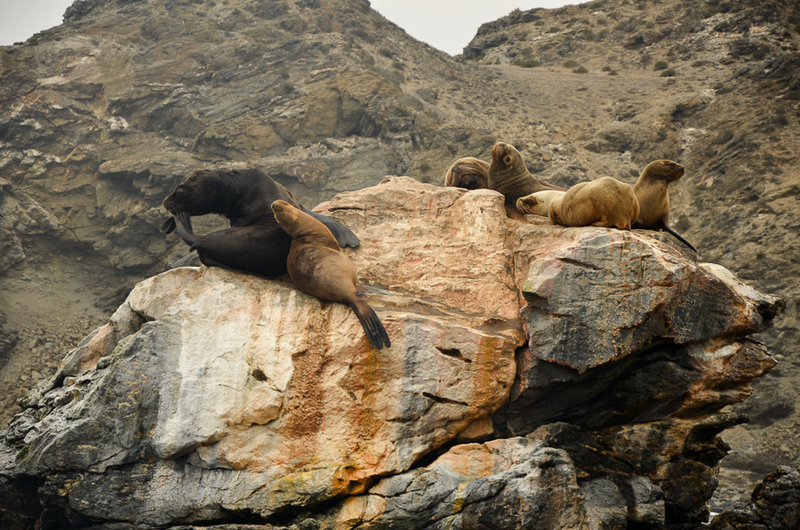 The seem to like rocky coast, waves, wind, harsh climate and the company of seagulls, pelicans and … sea lions! 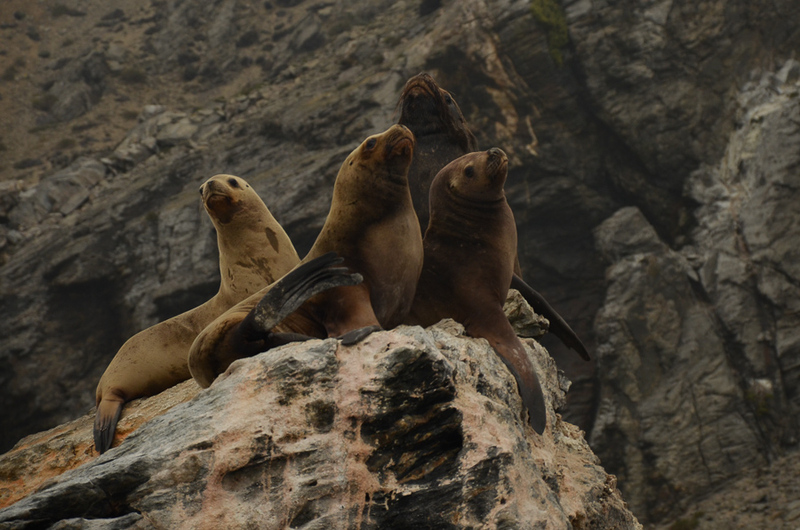 Our boat approaches sea lions (in Spanish, lobo marino) also known as Patagonian sea lions. These animals lead a comfortable lifestyle. Lying down on the rocks most of the day and fishing (or call it hunting for fish?) if they feel like to. 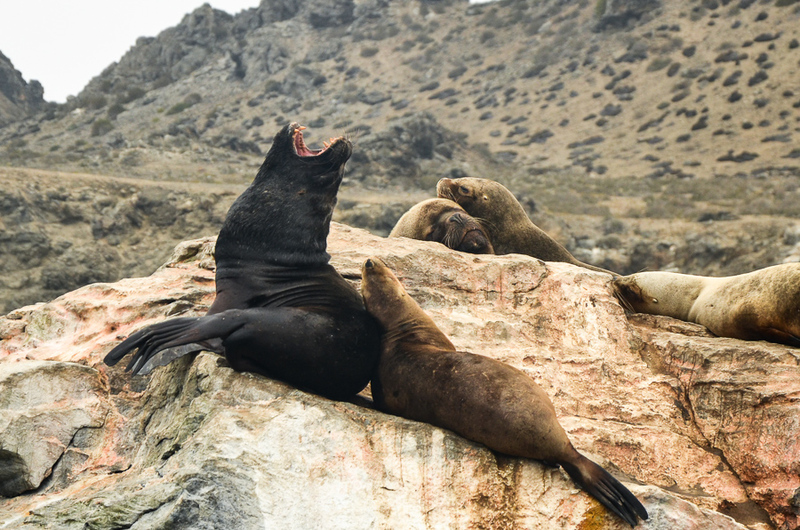 Typical sea lion eats an average of 10-15 kg fish per day. These are massive and quite lively animals, as we will later see. The body can reach up to 2.5 meters and weight up to 300kg. Meeting such guy might have unpredictable ending. Breaking the waves our boat embarks one of the islands and about two hours later we came back to the mainland. Further north the road runs along the coast. Desert landscape is still made up of withered shrubs and cacti. 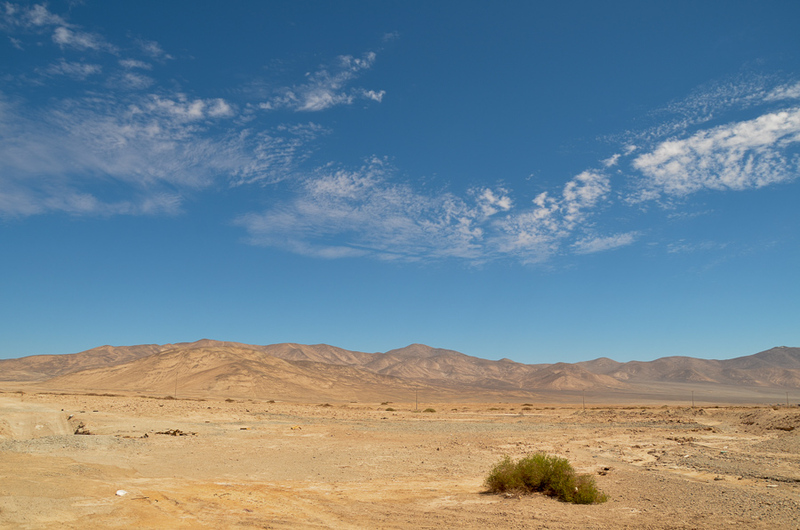 The first major town on the road is Vallenar, located in a desert valley. We walk along its narrow streets filled with colorful colonial houses with lush vegetation in the display. We also visit the famous resort Bahia Inglesia. It is rather a typical posh-style hangout with seaside promenade, appealing rather to beach goers and fans of tiny bottles of Heineken at inflated prices. Caldera located just nearby leaves far more interesting impression. This is a typical fishing town. 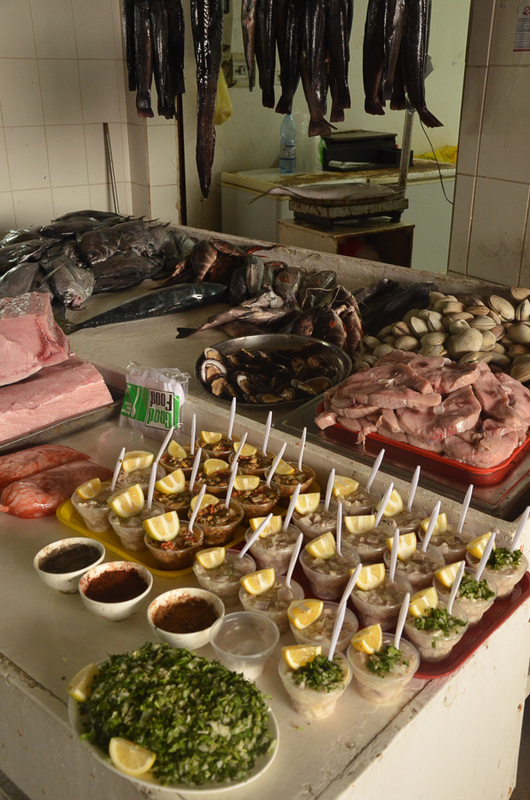 We visit fish market in the morning to try a few types of ceviche. The dish is made of several types of mussels, fish and interesting, unknown to me the ingredients – probably also coming from the sea. 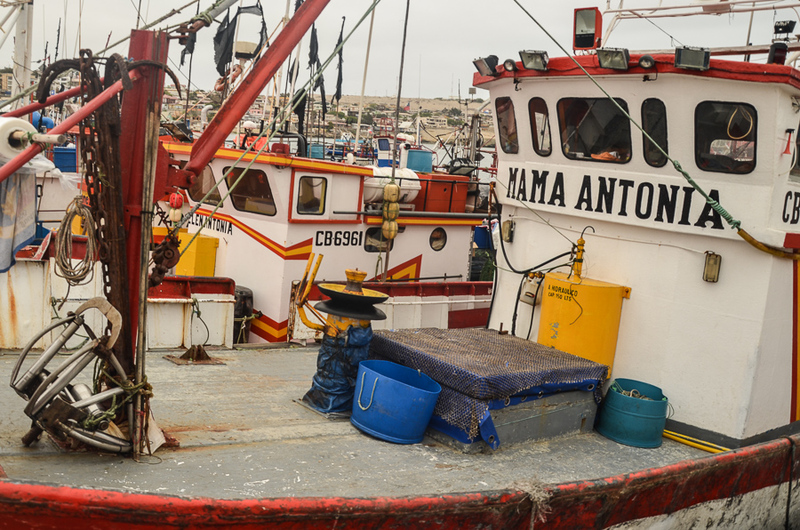 One of the fishermen sits in his boat, guts fish and feeds the remnants to a befriended sea lion that look at him longingly and demands more fish. 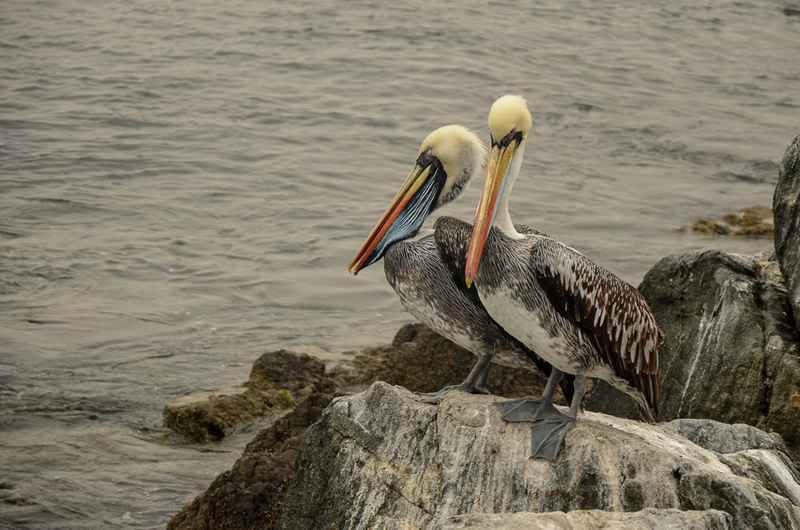 To my surprise on the other side of the market there are five sea lions, which together with a few passers-by and pelicans seem as if no one paid any attention to anyone. 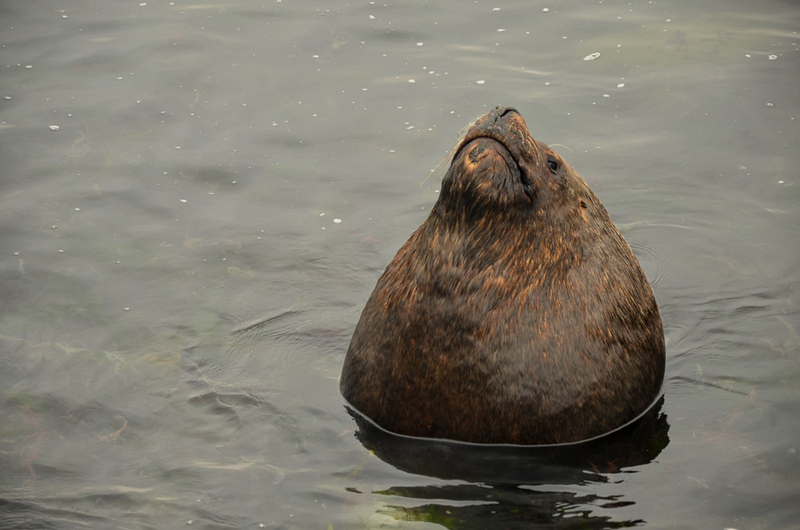 However, for an observer like me is interesting, because the sea lions are intriguing creatures. We return to the desert. 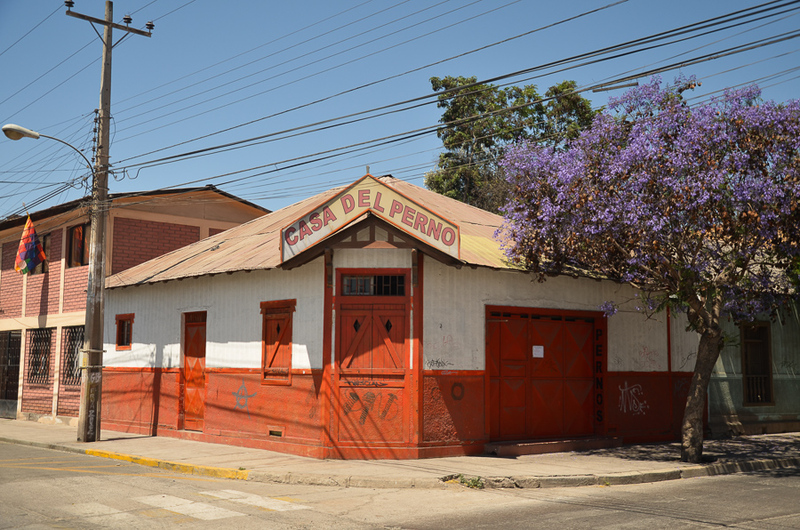 The road is dotted with mountains, frequent turns, roadside memorial chapels and guanaco. You can also stumble upon quite an interesting example of turning someone’s imaginary object into real concrete structure. 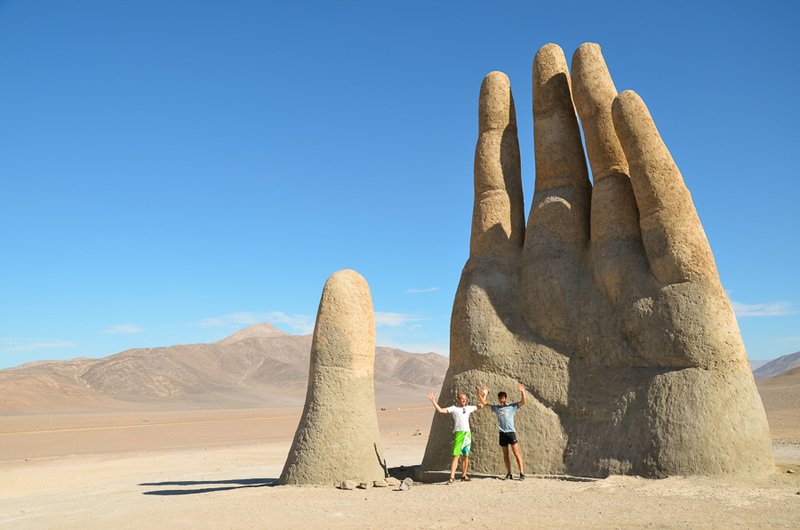 Behold Mano del Desierto, the Palm of Desert.